From an unloved stepchild to a Shining Star? According to some rumors, Apple would discontinue its iPad Mini entirely. There was hardly any mention of the Mini at the last keynote event. There was not even a news item. Nevertheless: The iPad Mini 4 has arrived - and more effort has been put into it than expected. It is even allowed to bear the iOS 9 banner. There’s life in the old dog yet. It has been very quiet around the small iPad lately. Some people even claimed that the Mini could be cancelled. Phil Schiller from Apple only mentioned the iPad Mini 4 with two sentences during the keynote. With that in mind, the new iPad Mini performs better than expected in our review, but there is still a respectable distance to the iPad Air 2. Model: The new Apple iPad Mini 4 might be small for a tablet, but it certainly packs a punch in terms of capabilities. Just like all the current Apple devices, the Apple iPad Mini 4 shares a similar design concept with its curved edges, metallic highlights and elegance. One of its selling points is its impressive thin profile and unbelievably low weight of only 298.8 g. The beautiful 7.9 inch LED-backlit IPS LCD features a scratch-resistant glass. Colors are perfectly saturated and details are sharp. The iOS 9 device comes with an Apple A8 dual core processor clocked at 1.5 GHz, 2 GB RAM, a PowerVR GX6450 quad-core GPU and several storage options consisting of 16, 64 and 128 GB. Camera functionality on the Apple iPad Mini 4 is superb with the rear 8 megapixel shooter or the 1.2 megapixel front camera. The tablet also uses TouchID, which utilizes your fingerprint as a secure password. Audio quality is decent with clear highs and mid-range. Other features are A-GPS, Bluetooth 4.0 and USB 2.0. 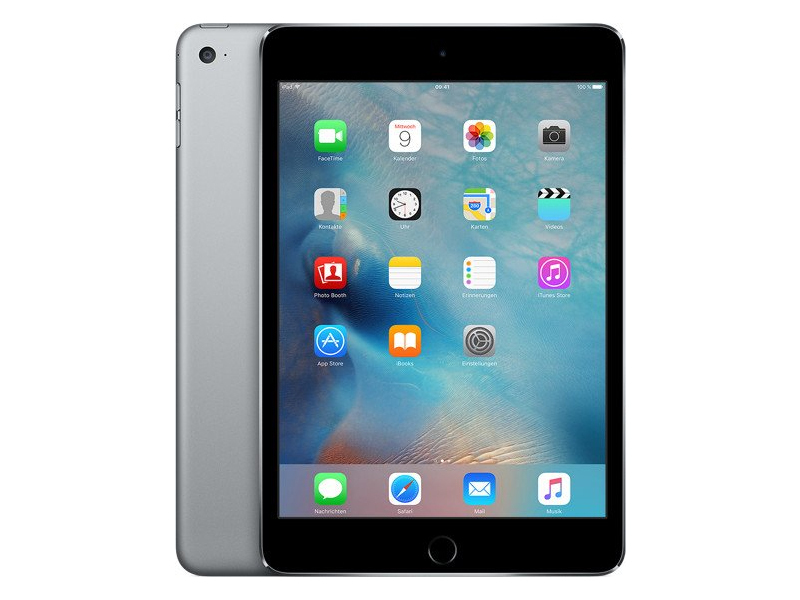 The Apple iPad Mini 4 comes with a non-removable Li-Ion battery rated at 5124 mAh. 88.69%: This is a good rating above average. Nevertheless you should not forget, that 10-15% of all notebook-models get a better rating.